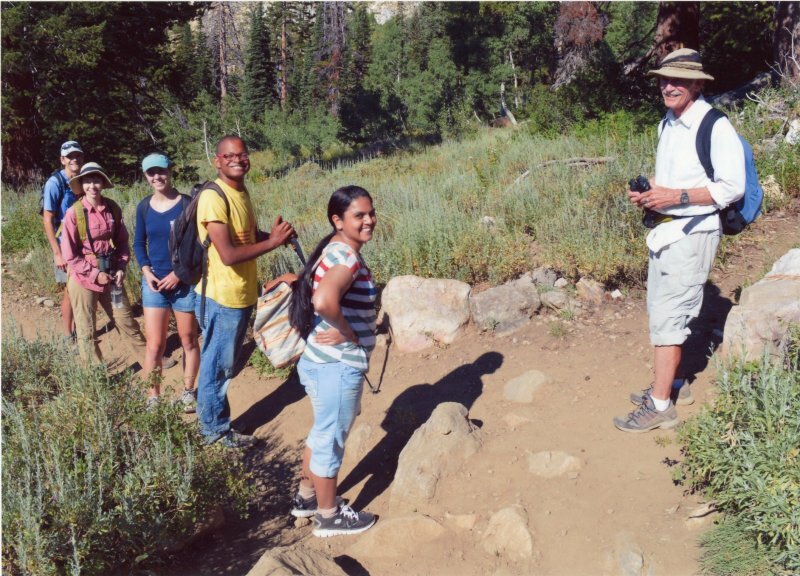 Seven hikers made the trip to White Pine Lake: Jack, Ed, Jay, Kendall, Piper, Krithika, and Chris (leader). 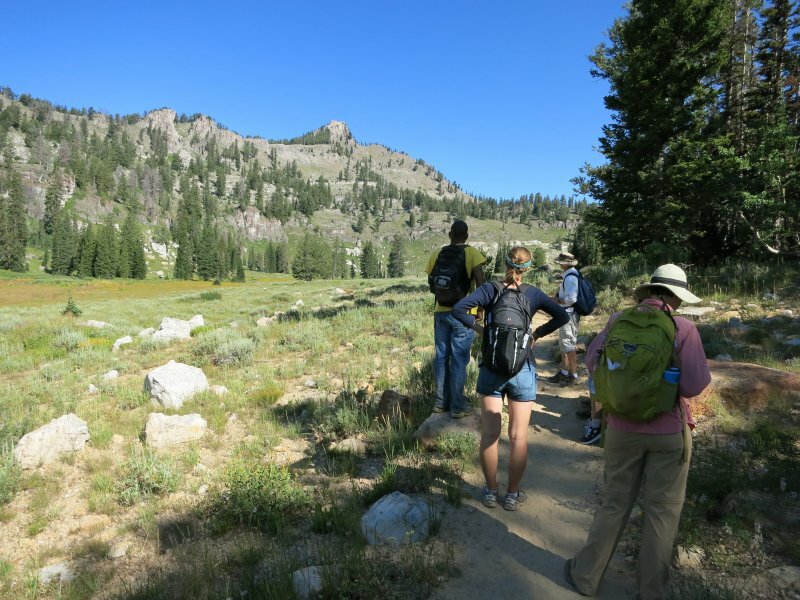 We made several stops along the trail to the lake to discuss geological features and identify bird and plant species. We saw/heard northern flickers, chipping sparrows, white-crowned sparrows, mountain bluebirds, and broad-tailed hummingbirds, and we heard western wood-pewees and Clark's nutcrackers. Several wildflowers were in full bloom, including Indian paintbrushes, saw groundsel, tall larkspur, monkshood, Engelmann's aster, sticky geranium, coyote mint, false hellebore, and hawkweed. The sky was clear to partly cloudy and a light breeze made for nice hiking conditions. Once we reached the lake, Kendall went for a quick swim, while Piper and Jay waded near the shore. 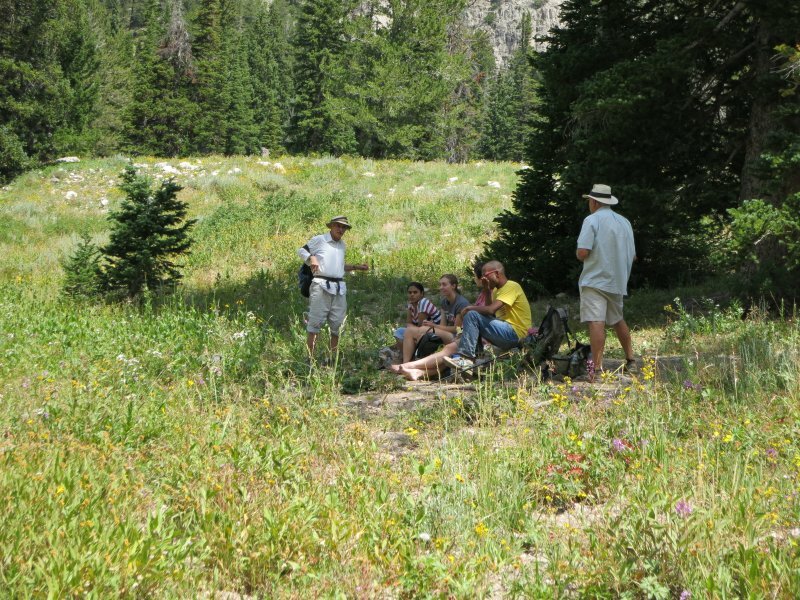 After lunch, the hikers split into two groups. Jack led Jay and Piper up through a slot in the escarpment toward Mt. Naomi, and then back to the Tony Grove Lake parking lot via the Mt. Naomi trail. The other hikers went back down the White Pine Lake trail. 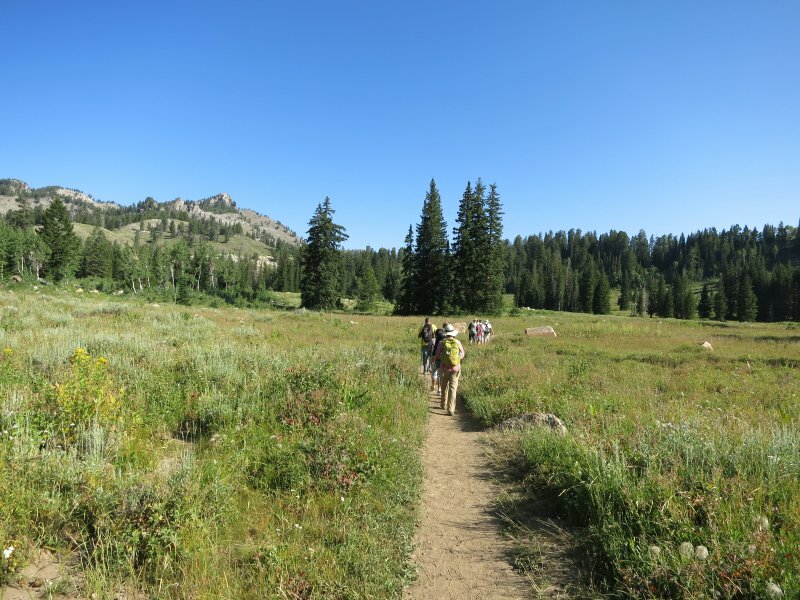 The trail was very busy with numerous hiking groups and two groups of mountain bikers. 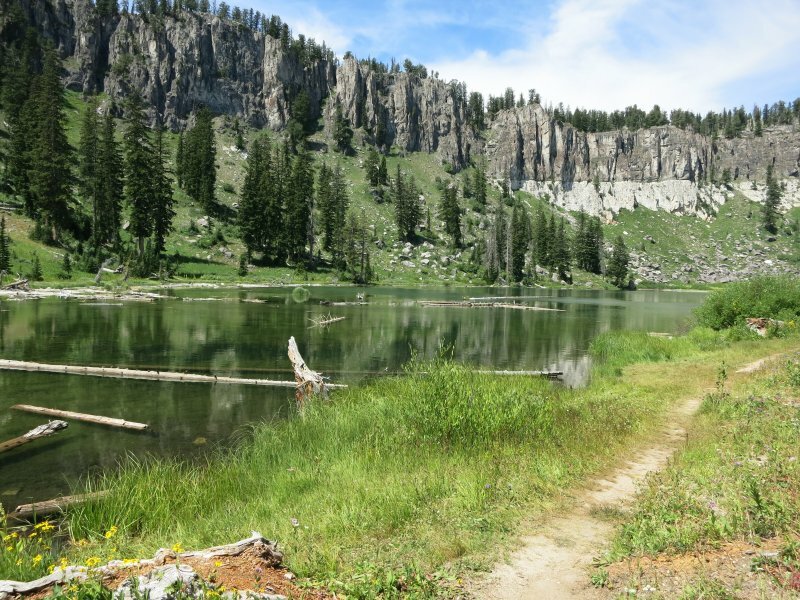 Trail Notes: The White Pine Lake trail runs about 4 miles from Tony Grove to White Pine Lake, a popular destination for hiking, horse riding, biking, and backpacking. Thanks to Chris for the narrative and Ed and Chris for photos.